Tar and gravel roofing, also known as built-up roofing (BUR), has been the go-to flat roof technology for decades. What are the advantages and disadvantages of this type of installation? A tar and gravel roof, or built-up roofing, consists of several layers of waterproof material alternated with hot tar and a surface layer of mineral aggregate, often smooth river stone. This surface layer weighs down the built-up roof, protects it from sun exposure, and serves as decoration. There are a wide variety of materials available for each layer. Though a tar and gravel roof was once made from tar paper, today this type of roofing is made from more advanced materials such as fiberglass membranes. Of all the flat roofing options, a tar and gravel roof is the most economical. It provides excellent protection against UV rays and is an attractive option for windows and decks that overlook the roof. Gravel is an excellent fire retardant. Also, a tar and gravel roof is very rugged and safe to walk on. A tar and gravel roof will generally last around 20 years, although if they are well maintained and properly installed, this kind of roofing has been known to last almost 40 years. A tar and gravel roof is very heavy. Joists, or the supports for your roof, may have to be strengthened before application. This kind of roofing is also very smelly and messy to install, and it is not recommended to install this roof on occupied homes. A tar and gravel roof is not suitable for a DIY installation, as its installation is potentially very dangerous (under the wrong conditions, hot tar can burst into flames cause severe burns or serious damage to your home). Another major disadvantage of a tar and gravel roof is that, with this kind of roof, it is difficult to locate the source of leaks. 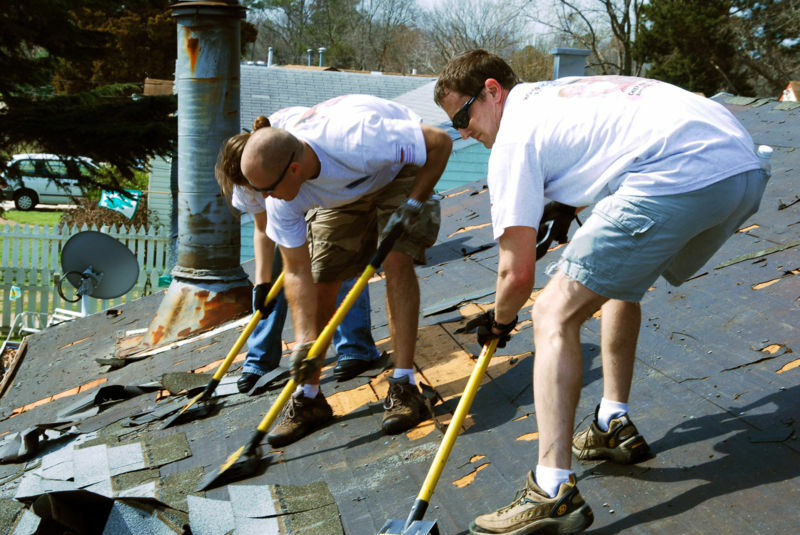 Water can travel many feet from the original defect across the different layers of roofing. Gravel can clog gutters and scuppers. A tar and gravel roof is also one of the least green options, and none of the materials are recyclable. For these reasons, many roofing contractors have moved away from tar and gravel roofing to more modern styles such as modified bitumen and rubber roofing. It is best to contact your local roofing expert for more detailed information about your best options.